Fourth Quarter 2018 GDP was adjusted slightly to 2.2%, slower than what we saw in the second and third quarters. Heading into the first quarter 2019, it appears we are still in a bit of a soft environment. Paul Teten gives his take on where we stand after the first quarter, and how he sees the second quarter going. The economic environment and earnings are always going to be critical elements to market movement, but we have been dealing with two major geopolitical issues for the past few years: trade agreement with China and BREXIT. Richard Chauvin discusses the likelihood that both issues may be coming to a conclusion, and how the markets may be impacted by the outcomes. 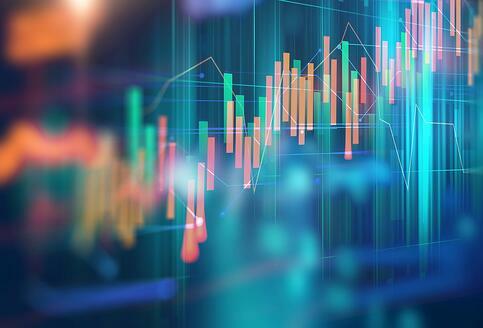 Many market indices did well in March, and the first quarter of 2019 showed much improved performance from the disappointing end to 2018. Martin Sirera highlights the recent month and quarter, and discusses where we go from here. In 2018, the Federal Reserve “dot plot” indicated it might raise interest rates two times this year. With the rough end to 2018, the Fed is now saying they are on hold but the markets believe the Fed is likely to ease rates. Jeff Tanguis discusses what the Fed is paying attention to, and what we can expect in the coming months. A historical library of previous calls is available. The information, views, opinions, and positions expressed by the author(s), presenter(s) and/or presented in the article are those of the author or individual who made the statement and do not necessarily reflect the policies, views, opinions, and positions of Hancock Whitney Bank. Hancock Whitney Bank makes no representations as to the accuracy, completeness, timeliness, suitability, or validity of any information presented. This information is general in nature and is provided for educational purposes only. Information provided and statements made should not be relied on or interpreted as accounting, financial planning, investment, legal, or tax advice. Hancock Whitney Bank encourages you to consult a professional for advice applicable to your specific situation.